Hello, assorted, sorted and generally messed with cardsmiths! 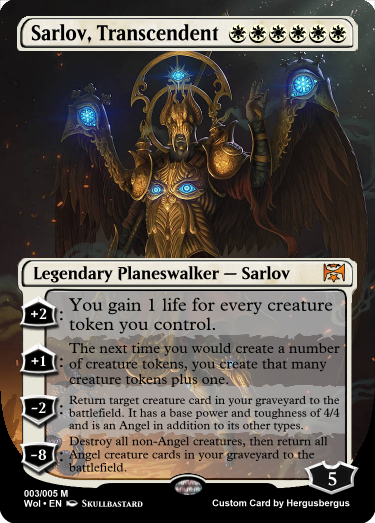 -To enter, create 1 legendary creature or planeswalker, 1 creature or token generating spell, and up to 3 other spells. -The legend/walker is your general, and the other one is your army. the bonus 3 are whatever you like. -Your army has to fight the others in a "tournament" of battles. you may suggest an opponent if you want. -for each battle, you will make a new card that represents your conflict; I pick the winner depending on these cards. -entries accepted until the 30th. -the winning army will be the first army that wins. -your army may use any number of colours, but your leader must use all of them somewhere on their card. I would recommend setting a date and keeping with it for a contest as best as you can. It'll help foster a more welcoming attitude. 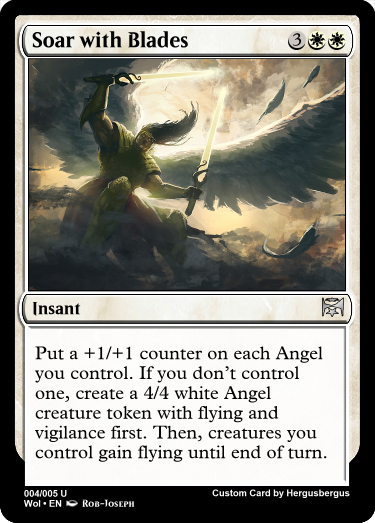 Since people don't always have the time to make cards, and especially many cards specifically for a contest (cause art and stuff), reading "until I think we have enough" is kinda disheartening for potential smiths. No one wants to devote their time thinking up a great idea, sifting through art, putting it all together, only to have the contest randomly close before they can put everything together because they were planning for the date specified and weren't really updated that it was closing with enough time to finish. Just a small point, cause I know some of us smiths that have a lot of time on our hands (me included hahahaha) sometimes forget that the time people put in is their precious free time, but I hope this helps people into getting contests and stuff underway and opening up the community. I'd hate to think that smiths were thinking up stuff and not getting to share their awesome hard work and effort. Cheers! 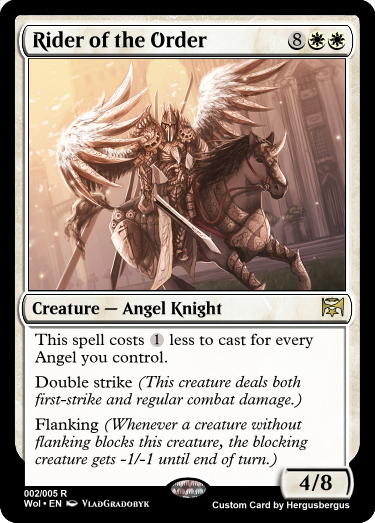 "The legend/walker is your general"
"the other one is your army"
"the bonus 3 are whatever you like"
(In case you haven't noticed, angel is my favourite creature type). if nobody else enters by the 30th, you can win instead of me just calling the contest off.